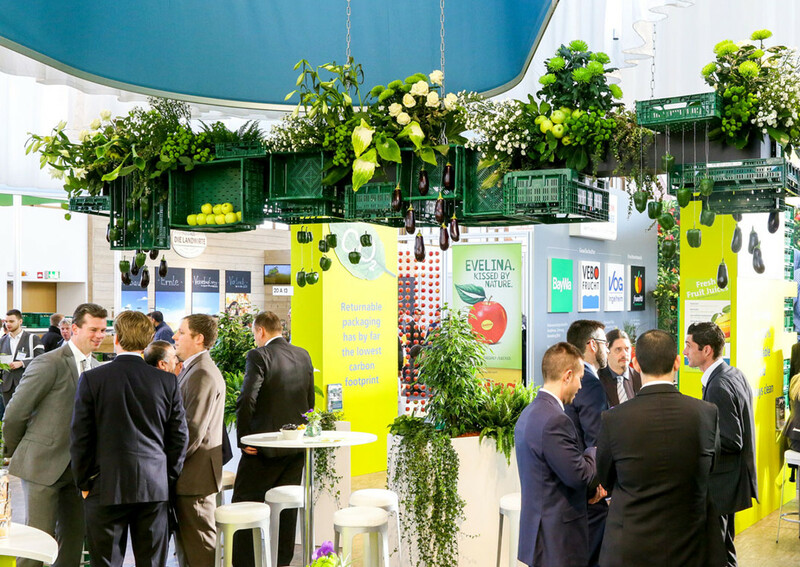 From today to 8 February, fruit and vegetables companies from across the entire fresh produce sector – from global players to small and medium-sized companies and organisations from all over the world – will again be present in Berlin to attend Fruit Logistica 2019. The trade show provides a comprehensive overview of the entire fruit and vegetable sector. “With the Convenience and Organic routes, Fruit Logistica has created a tool that offers professional visitors a complete overview of the market’s offer. Only certified Organic exhibitors and established Convenience producers participate in this specific showcase,” says Madlen Miserius, Senior Product Manager at Fruit Logistica. By 2024, according to a study by Zion Market Research, global sales of organic food products will almost triple, reaching a total of $323 billion. Organic fruits and vegetables will account for a high share in this increase in sales. The same applies, as for the Organic segment, to Fresh Convenience products. Sales growth is also expected in the Convenience segment. The Asian market in particular has developed rapidly in recent years. China and India have recorded sales of over 20 billion dollars. However, the global leader remains the United States with a turnover of more than 40 billion dollars. In Europe, it is mainly the British who rely on ready-to-eat food, but also in Germany the consumption of Convenience products has increased, reaching over $6 billion in 2018 (a per capita consumption of over 70 kilograms, source: Statista 2018). This year, Fruit Logistica will showcase a new Italian location: the Italian Fruit Village. Italy is indeed expanding its presence by filling another pavilion, 7.2A, with numerous companies, in addition to the historic 2.2 and 4.2 pavilions recognized by international buyers as the exhibition space for Italian companies. The 800 square metres of the Italian Fruit Village will host over twenty fruit and vegetable companies, PGI and PDO products’ protection Consortia and producer organisations from Campania, Calabria, Puglia, Basilicata, Sicily, Molise and Emilia-Romagna.